We are delighted to announce that two of our dog and handler teams qualifed at Level 2 Air-scenting. These ad-hoc National Assessments were held in Surrey at the weekend. The first one to be shown is Judith and Paddy, who were requalifying after their previous L2 lapsed. 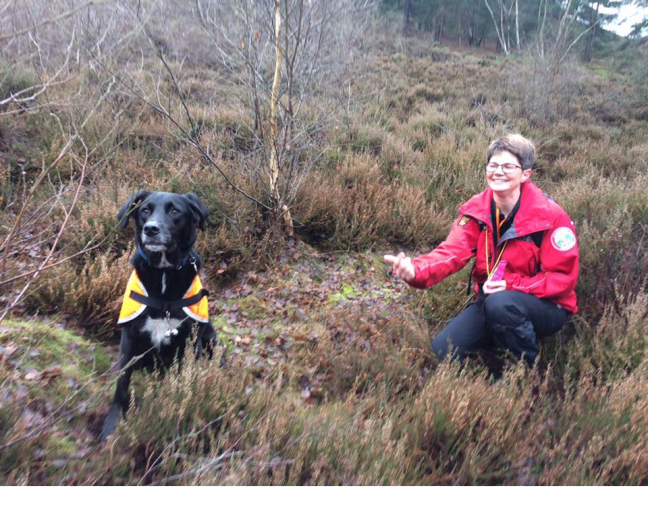 Judith joined the team in 2008, and Paddy started his training in March 2010. He's a rescued Collie/Labrador cross from Many Tears, which just goes to show that rescued dogs can make great Rescue Dogs!